SwiftKey announced a big update for its keyboard app this morning, one that should have performance increased across the board by a whole lot. According to its blog post that details the update, the keyboard should, on average, be 20% faster than other keyboard apps when loading and as much as twice as fast on first load after a phone restart. Additionally, the size of the app has been trimmed and upon internal testing, lag has been reduced by as much as 50% on most devices. SwiftKey is on average 20% faster loading than our closest competitor across a range of devices, and as much as twice as fast on first load after a phone restart. 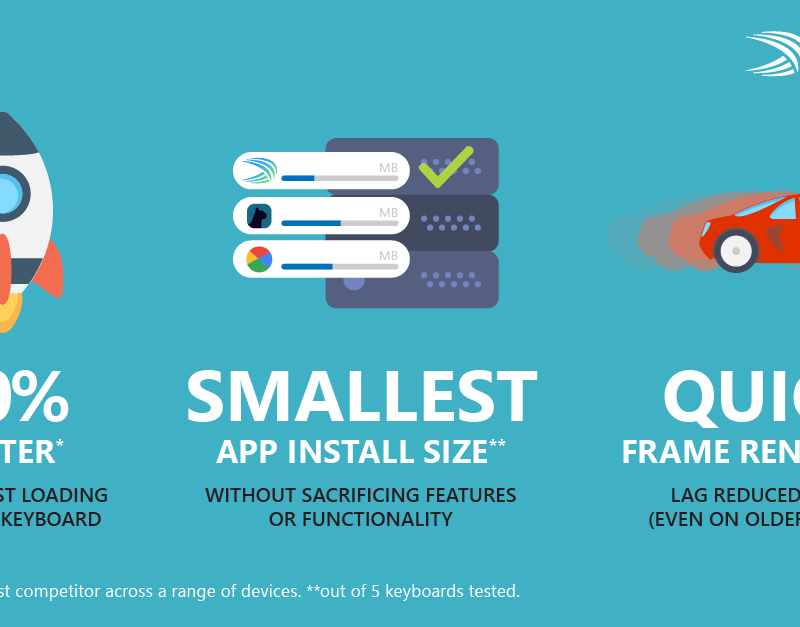 SwiftKey has the smallest app install size on fresh install – without sacrificing features or functionality – on some devices this is as much as half the size. Internal testing shows improved frame rendering, reducing lag by over 50%, even on older phones. You can grab the latest update by following the Google Play link below. For more info on all of the work SwiftKey did to make it a better keyboard app, follow the other link.